After a divorce, your financial life is likely going to take a big hit. According to a study by the Government Accountability Office, men will, on average, see a 23% reduction in their household income. Unsurprisingly, that number is much higher for women. They will see an average drop of 41% in household income after a divorce. It can be extremely difficult to make ends meet when you’ve got to cover many of the same costs with 40% less money! That is especially true for women who dropped out of the workforce to raise their children or support their husband’s careers. 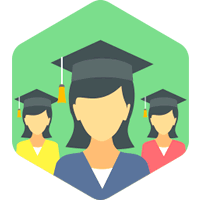 One important way women can help make up the difference in their lost income is to go back to school in order to learn the skills and earn the degree they need to get a new job or earn a promotion at their company. Of course, education is expensive. The average tuition for a bachelor’s degree at a public university is over $8,000, and according to FinAid.org, the average cost of a master’s degree is between $30,000 and $120,000. Even if you’re only looking to brush up on specific skills, you could end up paying hundreds or even thousands of dollars for webinars, online certification programs, or coaches. How are you going to afford these costs when you’re already facing such a drop in income as a result of your divorce? The answer will surprise you. Yes, you read that right. One way to cover your education costs is to negotiate it as part of your divorce settlement. (You should also consider negotiating your children’s college cost in your divorce settlement.) You’re probably thinking that this sounds a little crazy. After all, the last person who wants to help you achieve your dreams is probably your ex-husband. At the negotiating table, you can make a case that helping you pay for your educational needs will actually benefit your ex-husband. After all, if you can’t get a job, then he may be stuck paying you spousal support for a number of years. If you and your ex still care about each other, even if you can’t make your marriage work, he may want to help you get back on your feet and be willing to help cover your educational expenses. It could just be a matter of asking. Finally, you can sweeten the pot by agreeing to some of his settlement requests. Maybe he wants to keep the house or his BMW or would prefer that you don’t demand half his 401(k). Negotiation is all about give and take, and if you give just a little, you may get the money for the degree you need to get the job you want. That compromise may end up paying you back in a very big way! The best time to start planning for your post-divorce life is before you get divorced. 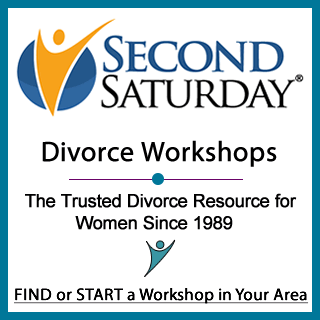 Keep reading our divorce articles for women, but also consider signing up for the next Second Saturday Divorce Workshop in your area.